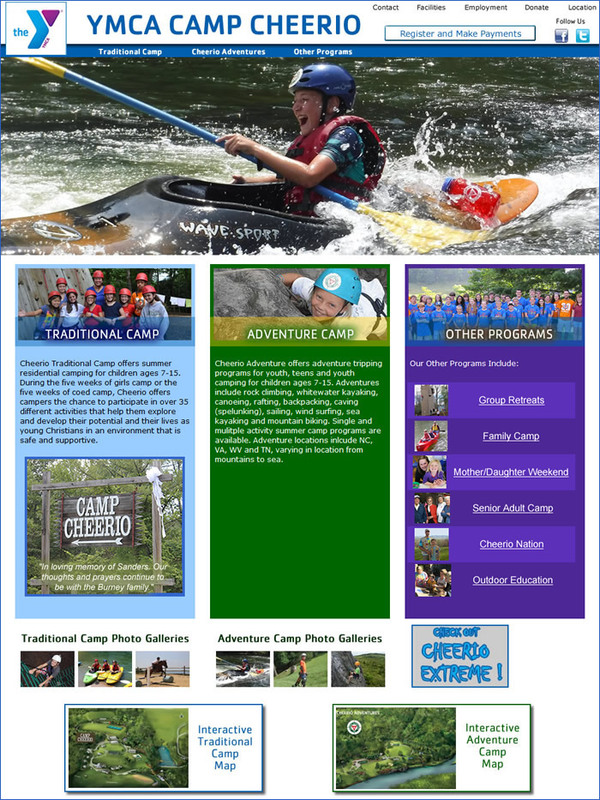 This recently redesigned web site about YMCA camping in the mountains of NC includes downloadable forms and a secure area where parents can sign up their kids for summer camp. Goosedown custom coded an interactive map with popup pictures for the camp. 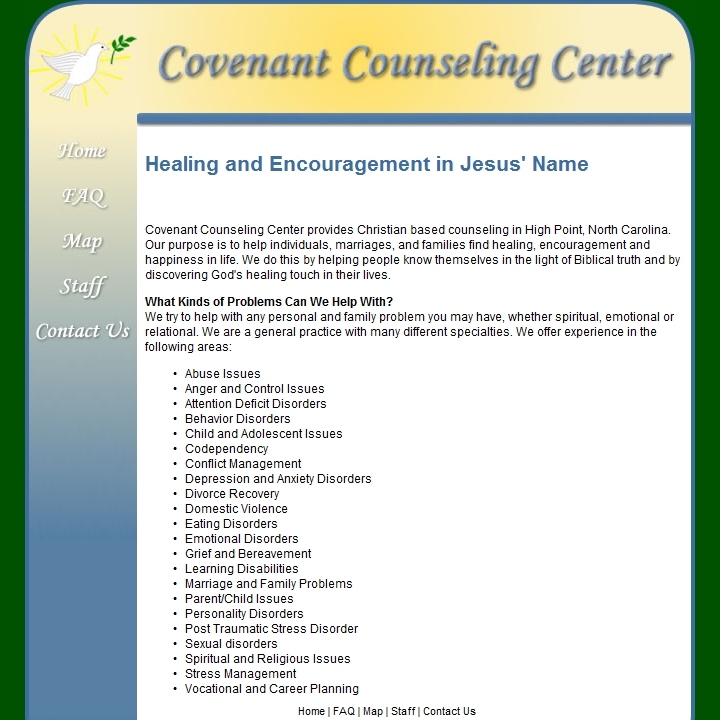 Learn more about the philosophy and the services offered by this Christian-based counseling center located in High Point, NC. 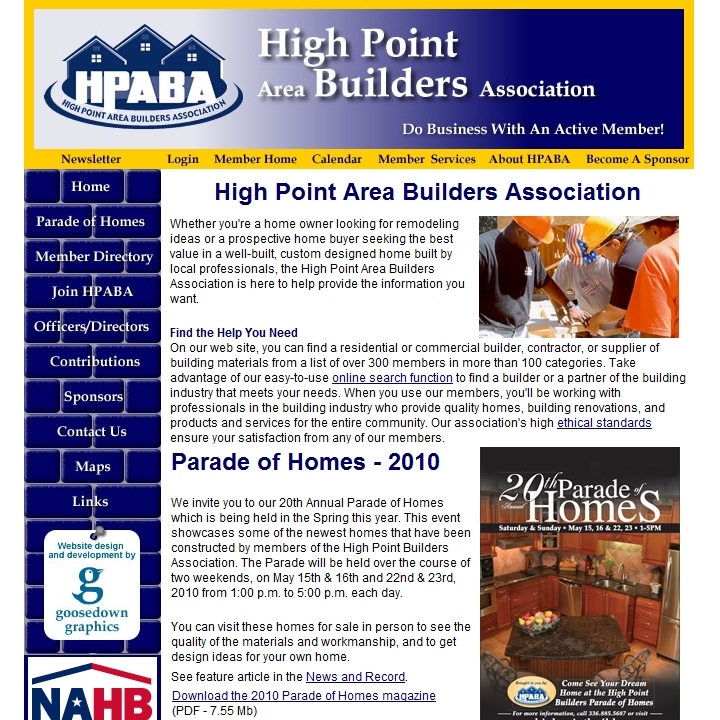 This site was designed with lots of interaction in mind. 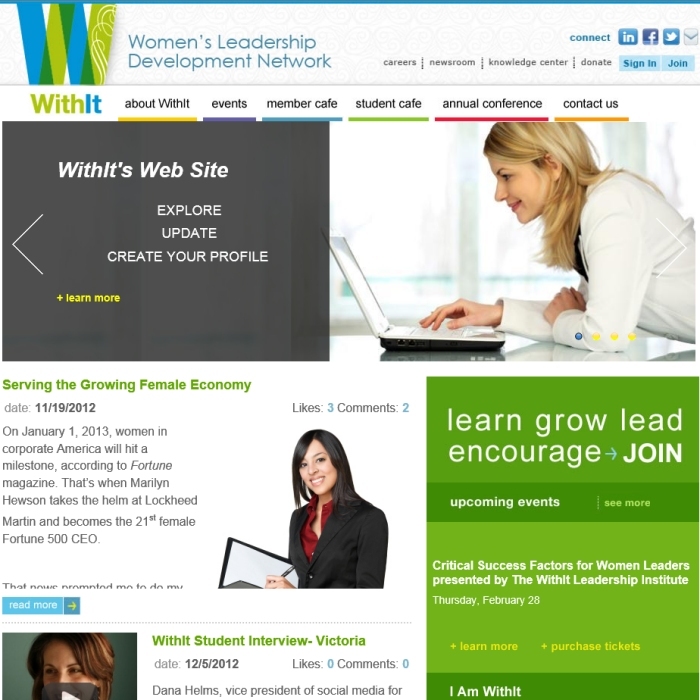 The WithIt web site allows members and non-members to comment on blog posts about WithIt and by WithIt Members. Employers can search through member profiles and members can ask other members questions or ask for mentorship. Employers can post jobs, Members can search job postings and other member profile for key words. This is one Dynamic Web Site.